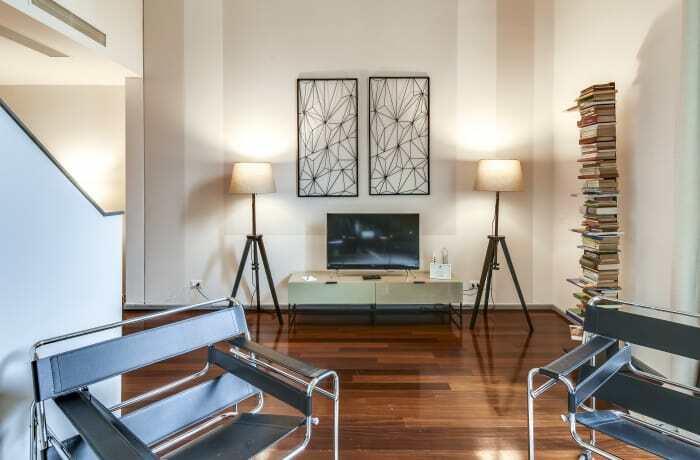 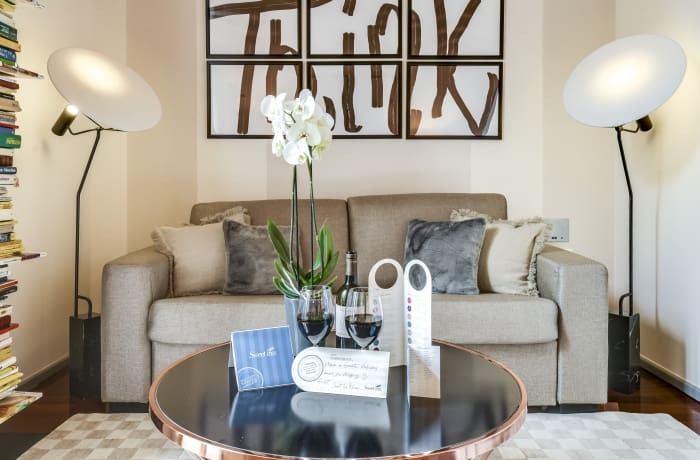 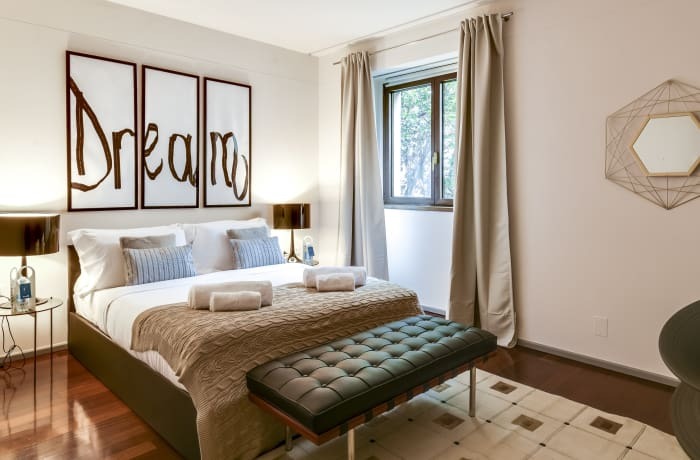 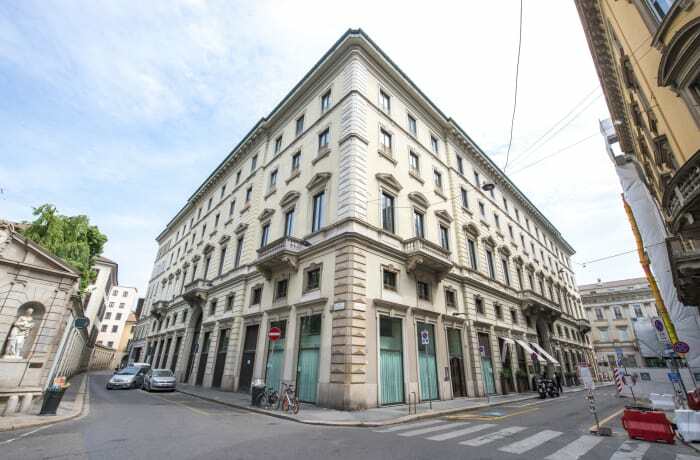 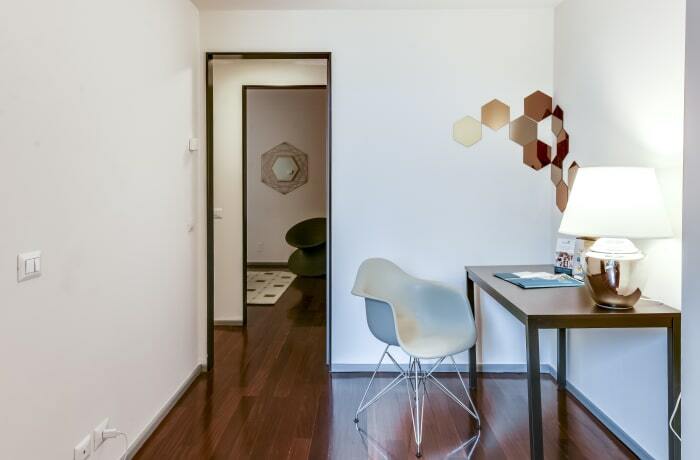 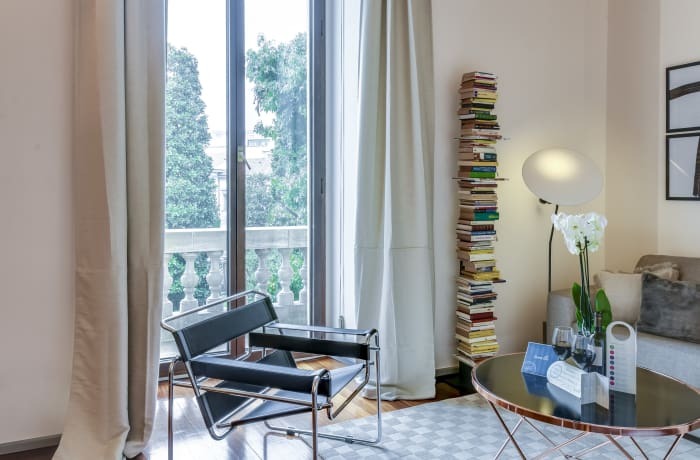 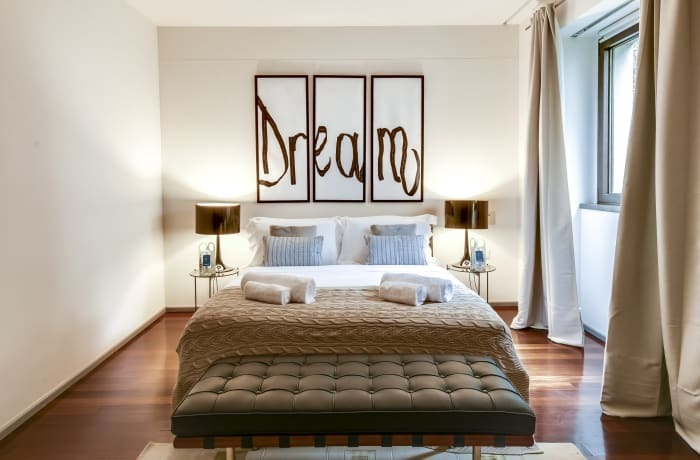 Situated in Milan’s central Duomo neighborhood, the stylish 1-bedroom Romagnosi apartment comfortably sleeps up to four guests. 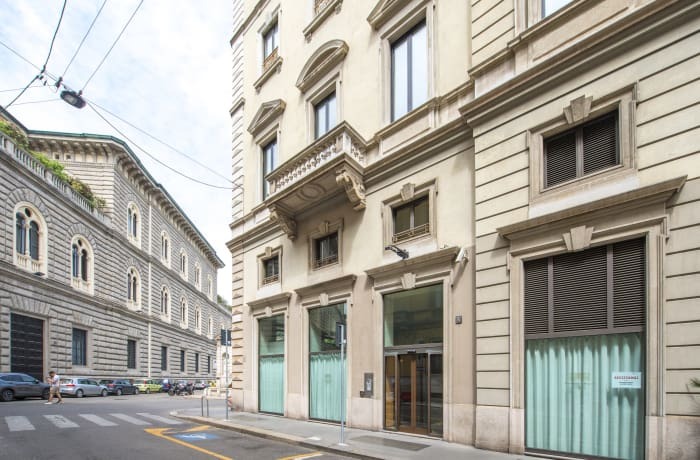 Down the street from the famous La Scala Opera house, it’s a quick stroll to some of the city’s most iconic sights, including Galleria Vittorio Emanuele, the famous Duomo and the Via Montenapoleone shopper’s paradise (5 min). 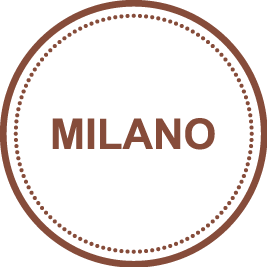 With buses around the corner and the metro so close (7 min), other areas of Milan are easy to access. 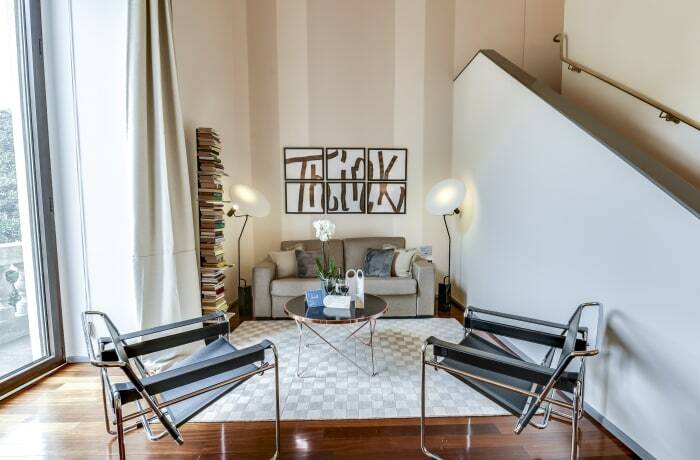 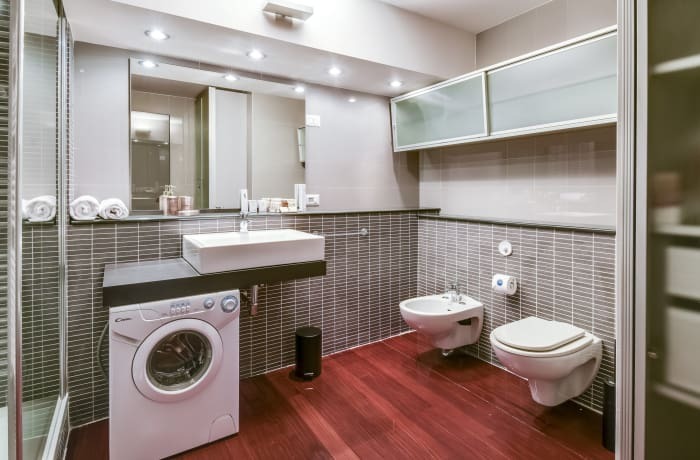 Meticulously refurbished by our local interior designer, this spacious duplex has an upscale Italian vibe. 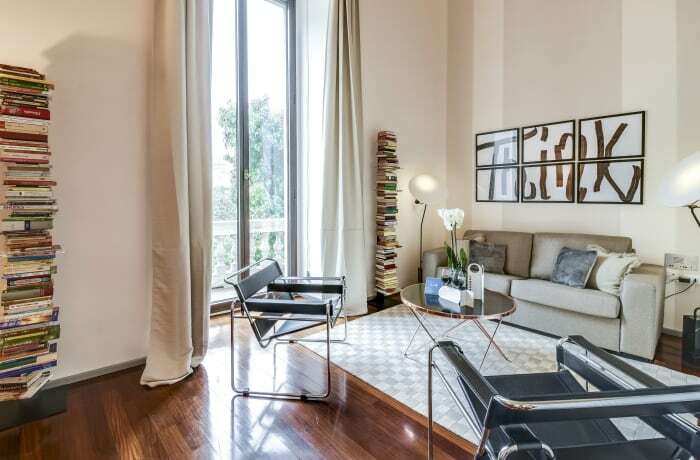 Floor-to-ceiling windows in the living room let in natural light and a stunning view of the city. 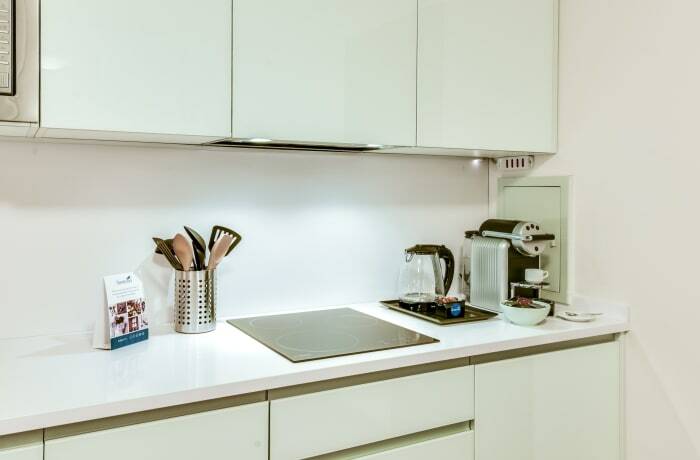 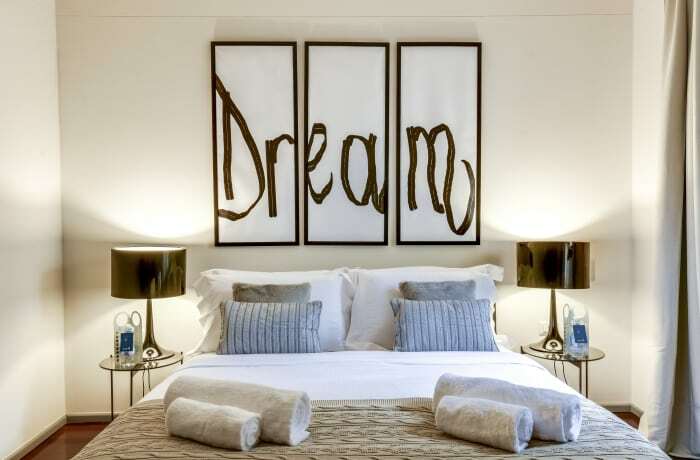 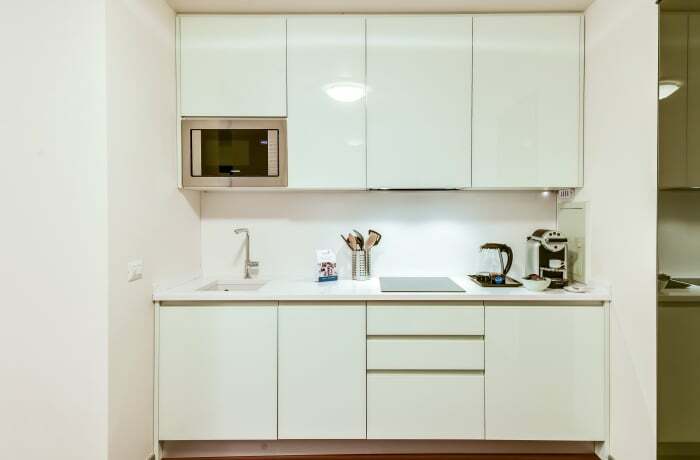 Guests will love the fully equipped kitchen and plush bedroom. 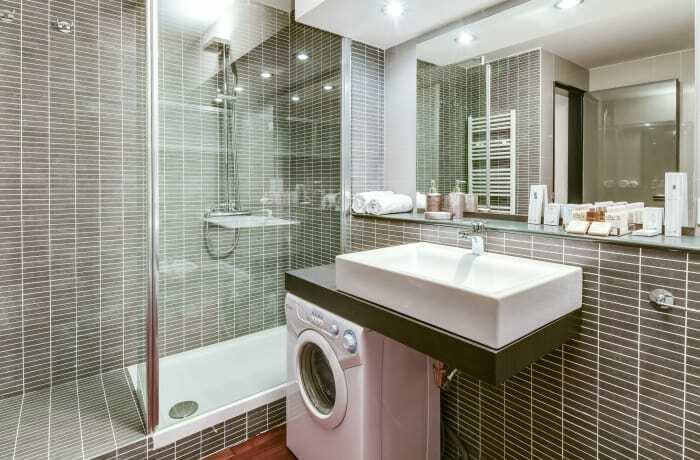 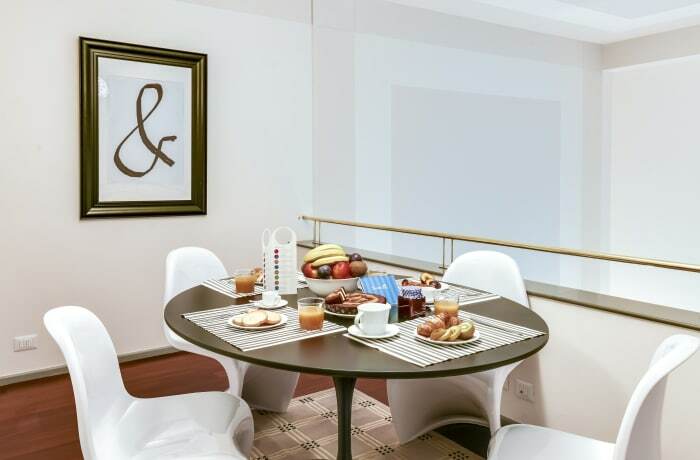 Premium amenities include a Nespresso machine, free WiFi, cable TV, high-end toiletries, and hotel beds and linens. 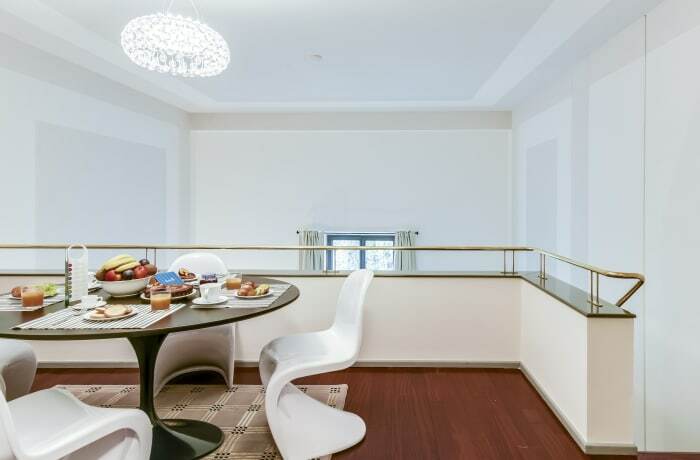 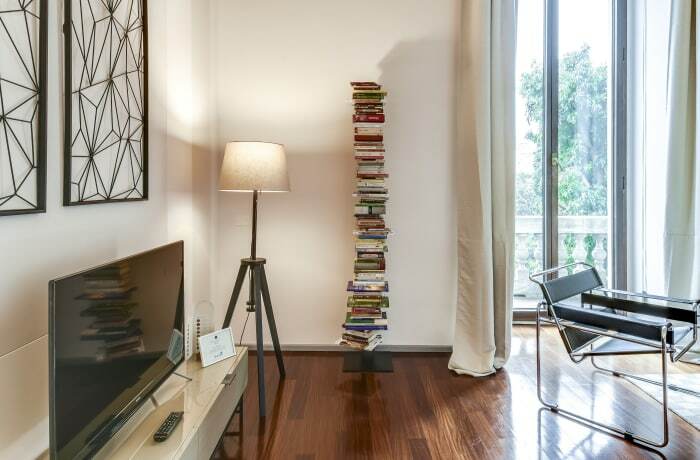 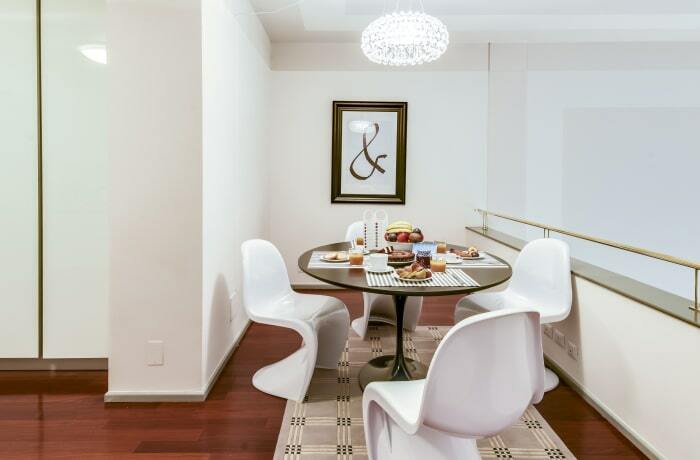 Perfect for couples, friends, or solo travelers, this exclusive vacation apartment in the heart of the city has it all.